Over the past couple of years there are few Canadian rock acts that have had the success of Hamilton's Arkells. On August 5th the band return with a new studio record, High Noon. Musically, the sound features keyboards and synths far further up in the mix. It can be a nice added touch in many songs, a distraction at other times. It's actually both during the catchy "Come To Light". On "Cynical Bastards" the slicing key sound makes it sound more like Said The Whale than what we've been accustomed to from The Arkells. However, it falls flat on "What Are You Holding On To? ", sounding like your eardrums popping underwater. Success has changed the songwriting a bit. The social commentary and observations take a back seat on High Noon to the songs about love and relationships. The most obvious is "11:11", a concert pick-up story that's a more cerebral take on the Blink-182 "Rock Show" theme. That said, there's no denying that these songs are goddamn catchy. Whether it's the brilliant harmony and wordplay of "Never Thought That This Would Happen" or the razor-sharp hook of "Dirty Blonde", it will take all of your power to resist singing along to most of these tracks. The best rocker is "Leather Jacket". It's not a traditional blistering rock n' roll cut, but it has the combination of intensity and melody that make for a knockout. 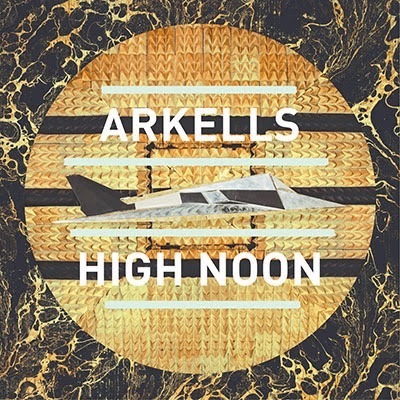 The Arkells have had a lot of success up until this point, but High Noon is just commercial enough, but falls short of pandering that it should appeal to both pop radio listeners and their existing fanbase. This should make them huge. Best tracks: "Never Thought That This Would Happen", "Leather Jacket"